Bottle information- ABV 40%. 70 cl. Clan Fraser Reserve Blended Scotch Whisky is a unique blend of the finest grain and malt whiskies from the heart of Scotland. 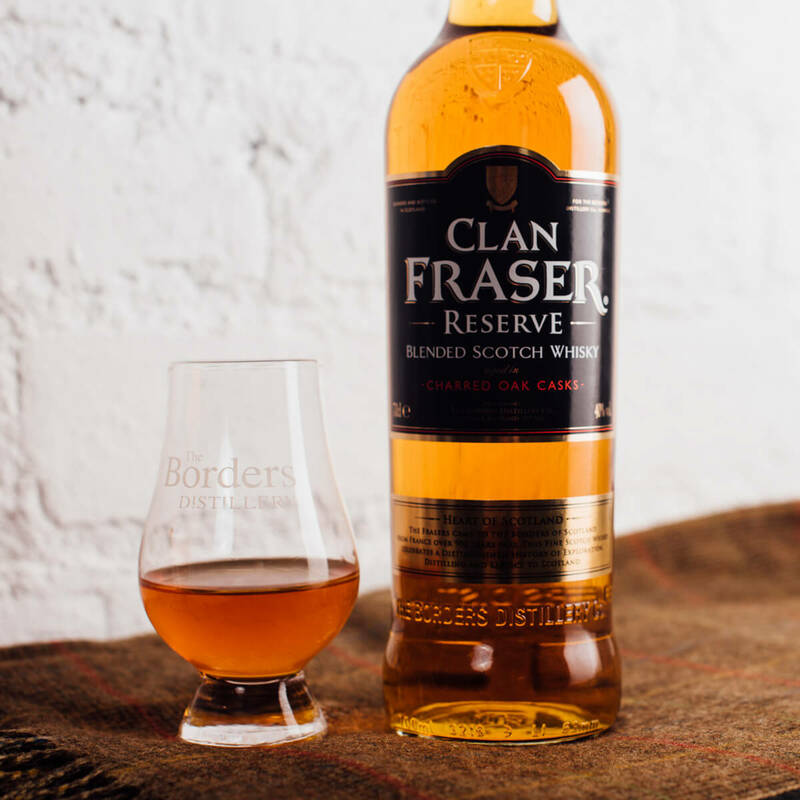 This delightful blend was inspired by our overall vision for our company established in the Scottish Borders – the same area that the Frasers (Fraisiers – Stawberry pickers) came to from Anjou, France over 900 years ago. 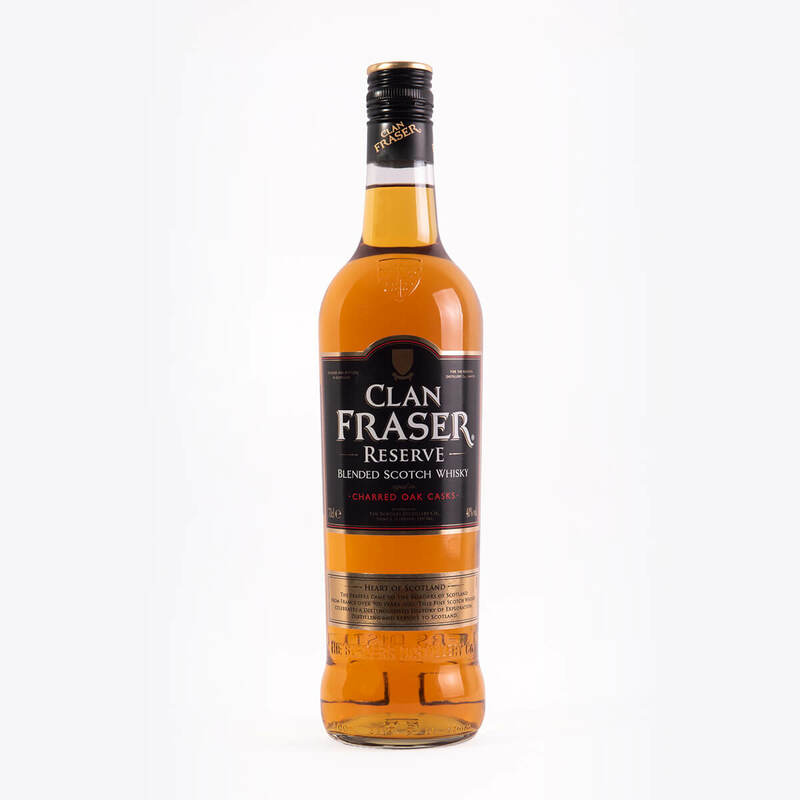 It is a blend of finest grain and several malt whiskies to celebrate the ingenuity, determination and pioneering spirit of the Fraser Clan. Honey and buttery on the nose with hints of cinnamon and vanilla. 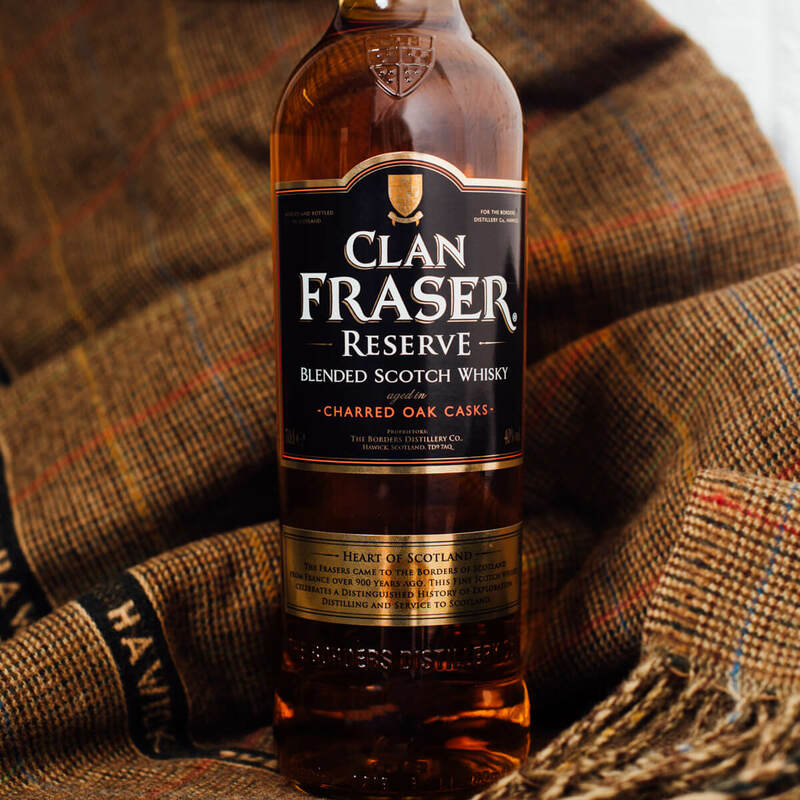 With its notes of raisins and figs, it is ever so slightly sweet and deliciously smooth with a rounded finish.